Bus Accidents: How to Pick the Best Lawyer? For some, shopping around for a bus accident lawyer to represent you is a lot like shopping for a car: you read up as much as you can about the options, go and “try out” a few of your favorite picks, make the best decision you can and hope for the best. Sometimes this works out well: the attorney and client work well together and the client is satisfied with the results. Other times this is not the case: the attorney is overwhelmed or confused by a bus accident case or the client believes the lawyer is not working with the client’s best interests in mind. There is a better way to choosing an attorney. By knowing what to look for when evaluating possible attorneys, you can make a more informed choice and have a better chance at avoiding hiring an attorney who does not help you or whom you do not trust. Does this attorney regularly represent bus accident victims? Most every attorney must go through law school to be able to practice law, but not every attorney must practice in bus accident / personal injury law. These areas of law change periodically as new laws and procedures are implemented and new cases are decided. An attorney who regularly represents bus accident victims is more likely to be up-to-date on current laws in effect and will know how these laws impact your case. How prepared is the attorney for your questions? Your initial consultation with an attorney is not a chance for you to “stump the lawyer,” but your attorney should be comfortable answering most of your questions about your bus accident lawsuit. Questions like how long do you have to file a claim, how do you win a case in general, and what compensation you may be entitled to are generic questions that a qualified bus accident lawyer should be able to address. More complicated questions may require some research by the attorney. If the attorney does need to do more research before giving you an answer, a good and reputable attorney will be sure to follow up with an answer for you within a couple of days. Does this attorney guarantee results? Avoid any attorney who guarantees that you can win your case or that you are certain to obtain a specific amount of compensation within a specific amount of time. In any lawsuit, there are any number of factors that can affect the timeline and/or outcome of the case. A lawyer who guarantees you certain results is setting you up for later disappointment. Can I afford this attorney? Make sure you understand how the attorney intends to be paid and what costs you are responsible for regardless of the outcome. Does the attorney intend to take a portion of any judgment or settlement reached in the case? Are you responsible for making monthly payments? Does the attorney require an upfront retainer? Make certain you know the answer to these questions and walk away from an attorney you cannot afford: money disputes are one of the most common reasons why a breakdown in the attorney-client relationship occurs. Do I trust this attorney? At the end of the day, you should listen to your gut. If you feel you cannot trust this attorney or work with him or her, you would be better off finding another attorney. You will need to trust that your attorney is working on your behalf even if you have not heard from your attorney for a week or two. If you do not feel you can do this with the attorney your considering, you need to find another attorney. 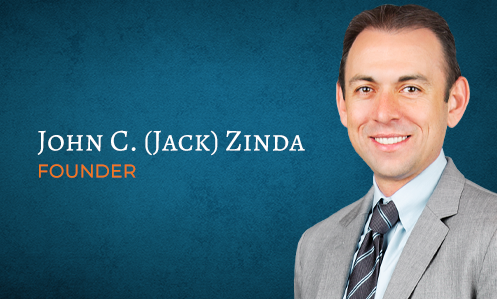 At Zinda Law Group, we would welcome the opportunity to earn your business and trust and help you obtain compensation for your bus accident injuries. Contact us at (800) 863-5312 to schedule your consultation and speak with one of our experienced bus accident lawyers today.